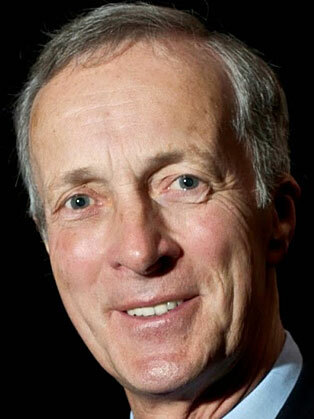 Sir Stuart Hampson is a British businessman and current Chairman of The Crown Estate. He was formerly chairman of the John Lewis Partnership. He was the fourth person to be appointed and held the position since 1993. Sir Stuart joined the Partnership in 1982 and, after gaining experience in a number of department stores, became Managing Director of Tyrrell & Green (now John Lewis Southampton). He was appointed to the Board as Director of Research and Expansion in 1986, adding The Deputy Chairmanship to his responsibilities in 1989 and he became the fourth Chairman of the Partnership in 1993. During those 14 years Sir Hampson presided over a programme of modernisation without sacrificing the partnership ethos and principles that were embodied in its 1929 constitution of co-ownership and the happiness of its staff. His 14 years as chairman saw steady expansion, the refurbishment of the Oxford Street and Sloane Square department stores, the extension of trading hours, the expansion of the product range and the establishment of an online presence through John Lewis Direct, and Ocado, the home delivery grocery service. Hampson was knighted in 1998 and also received an honorary doctorate in Business Administration from Kingston University in the same year. A founding Deputy Chairman of London First and past President of the Royal Agriculture Society of England, he is President of the Employee Ownership Association and continues to champion the benefits of employee engagement in business. Hampson chaired the team tackling Economic Renewal in deprived communities, and he is one of the Prince of Wales's Ambassadors in this area.